The Denture Base is only available during visits from Ronza, provided she has replenished her stock between visits. A special membrane designed to channel the thunderous storm energy that resides within Ful'Mina's incredible teeth. By carefully smashing Ful'Mina's Teeth into smaller toothlets, they can be affixed within the specially designed sockets that line the edge of the base. 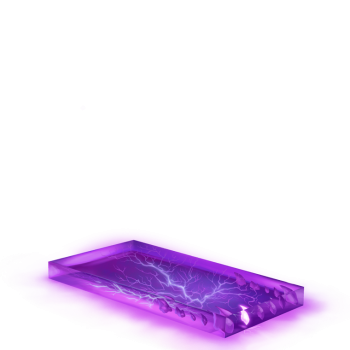 With each successful hunt, the base experiences a sweet release of lightning to empower the base, but can occasionally cause a toothlet to decay. 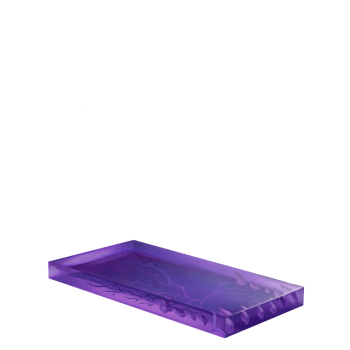 The Denture Base is available for purchase for 20,000,000 gold from Ronza's Shoppe. It cannot be refunded once purchased. 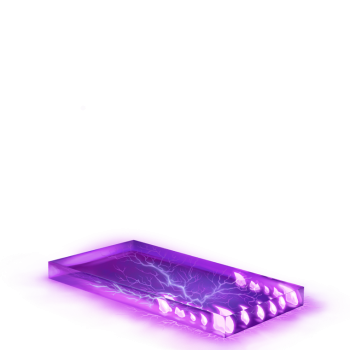 The Denture Base provides an additional 1500 Power, 25% Power, 25% Attraction, and 20 Luck when a Ful'mina's Charged Toothlet is in the hunter's inventory. 24 July 2018: The Denture Base was introduced.